“Your relationship with your spouse is also tied to your relationship with God.” This one statement is the lynch to this whole lesson. If we get this, it will change how we will move forward. 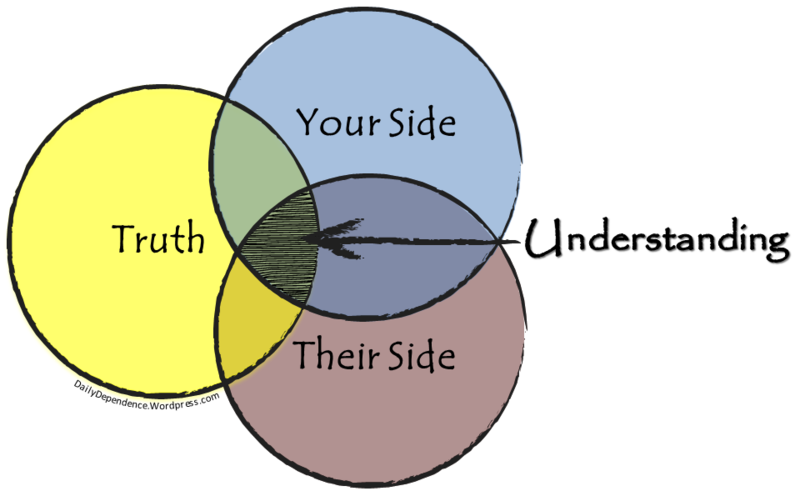 The key to understanding people and especially your spouse in every situation is seeing all three sides…Understanding happens at the confluence of all three. Persevere to understand the one God has blessed you with!! Psalms 139:13-14 talks about being “fearfully and wonderfully made,” and that is the truth for sure but you know what else is the truth? Your spouse is fearfully and wonderfully made too! AND they were made in God’s image (see Genesis 1:27). When we tear down our spouse, we are tearing down God’s masterpiece! That is why we need to understand the person God has blessed us with and focus on that as a team, together you are better! Live with your spouse in an understanding way. What does that mean to you? In the last post, ★ Re|Engage – Expectations ★ I shared about my wife’s uncle who married us that he gave me some great advice when he performed the marriage counseling. The parallel between the wine glass and Thermos reminds me of another piece of advice that he gave me to be a “bull in a china shop.” Men need to understand their wives are delicate and precious just how a wine glass is. So like anything in life, the only way to understand anything is to study it right? Here is a great question to ask your spouse periodically…How am I doing showing you love or respect? And then listen and learn from what they say. Show me one way to love and respect my spouse. Let me see my spouse through your eyes. 15 minutes a day (just talking to your spouse) – Guys don’t pull out a stop watch to time it!